Preheat oven to 350°F. Put a kettle of water on to heat for the water bath. 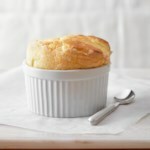 To prepare flans: Put 2 teaspoons agave syrup in the bottom of each of six 6- to 8-ounce straight-sided ovenproof ramekins. Refrigerate the ramekins for 15 minutes to thicken the syrup. Meanwhile, pour milk into a medium saucepan. 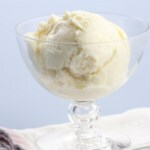 Split vanilla bean and, with the tip of a sharp knife, scrape all the black paste inside into the milk. Add the pod. (Or add vanilla extract to the milk.) Heat over medium heat until the milk is very hot and bubbles form around the edges of the pan, but do not allow it to boil. Remove from the heat and let stand for 5 minutes. Whisk eggs, egg yolks and brown sugar in a large mixing bowl. Slowly add 1 cup of the hot milk, whisking constantly as you pour. Whisk in the rest of the hot milk a little at a time. Strain the custard back into the pan through a sieve; carefully skim off any foam. Divide the custard among the prepared ramekins. Place the ramekins in a large baking pan. 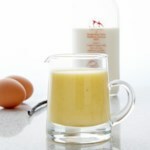 Carefully pour 1 inch of boiling water into the pan, being careful not to splash water into the custard. Cover the pan with foil. Bake until the custards no longer jiggle in the center, 25 to 35 minutes (depending on the size of the ramekin). Carefully remove the foil and let the flans cool in the water bath for 1 hour. Cover the ramekins and transfer to the refrigerator until chilled, about 1 hour. To prepare walnuts: Reduce oven temperature to 300 degrees . Lightly coat a baking sheet with cooking spray. Toss walnuts with agave syrup and brown sugar until evenly coated. Spread in a single layer on the prepared baking sheet. Bake until lightly browned, 6 to 10 minutes, checking frequently. Spread out on wax paper to cool. To serve, run a knife around the edge of each ramekin and invert onto a plate. 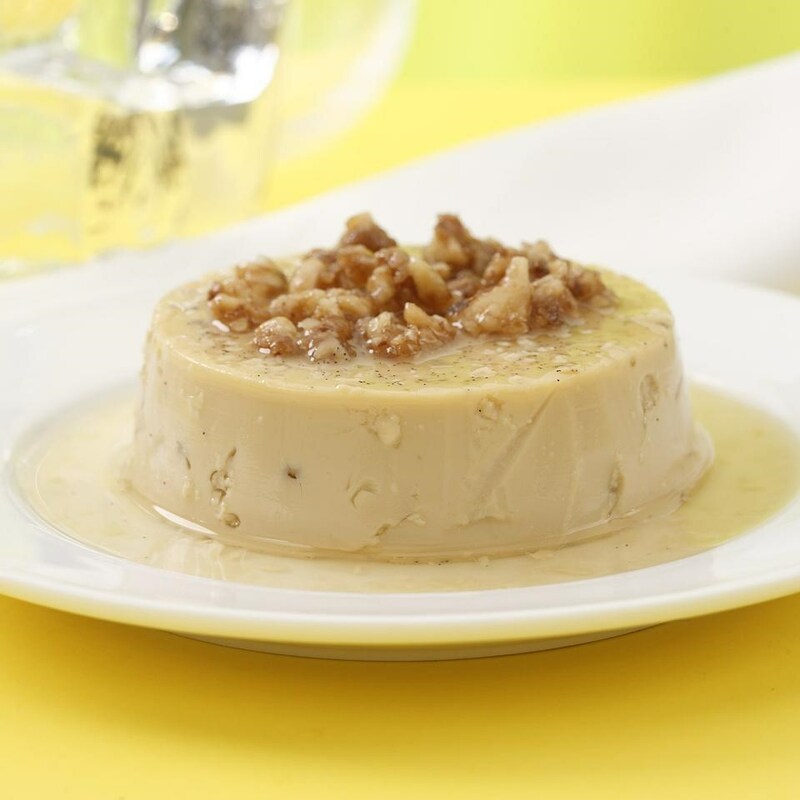 Top each flan with about 1 tablespoon of the walnuts. Make Ahead Tip: Cover and refrigerate the flans for up to 2 days. Store walnuts (Steps 7-8) in an airtight container for up to 3 days. Note: Agave syrup or nectar is the naturally sweet juice extracted from the agave plant. 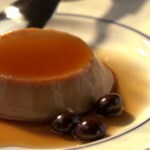 It has a lower glycemic index and is lower in calories than table sugar, but is even sweeter. Use it in moderation when substituting for table sugar. Look for it near other sweeteners in natural-foods stores. I use maple syrup instead of agave syrup, skip refrigerating syrup to thicken, omit the dark brown sugar, skip caramelized walnuts, bake in 1 cup Pyrex ramekins (came with plastic lids-can order on Amazon), leave in ramekins and cover with lids once cooled, store in fridge, and enjoy for an easy lower sugar breakfast. agave nectar is in reality not a natural sweetener but a highly refined form of fructose, more concentrated than the high fructose corn syrup used in sodas. Refined fructose is not a 'natural' sugar, and countless studies implicate it as a sweetener that will contribute to disease. Therefore, agave nectar is not a health building product, but rather a deceptively marketed form of a highly processed and refined sweetener.